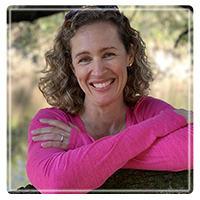 Lake Mary Therapist: Wendy Crane - Therapist 32746. I have worked with individuals, couples, and families for more than 10 years. I entered private practice in 2003 and founded Sol Flower Wellness in 2012. Beyond counseling and hypnotherapy, I pursued certification as a Kripalu Yoga Teacher and completed a 200-hour training in 2012. This gives me a unique ability to understand both the mind and the body as they relate to what might bring you into counseling. My desire to integrate all of these interests into a more holistic approach inspired me to create Sol Flower Wellness to offer counseling, hypnotherapy, meditation, and yoga all in one place. I am licensed by the State of Florida as a Marriage and Family Therapist and Certified Nationally by the National Board of Certified Counselors. I also received a certification as a Clinical Hypnotherapist through the Wellness Institute in Issaquah, Washington. Professionally, I am a Clinical Member of the American Association of Marriage and Family Therapy and a member of the Central Florida Association for Marriage and Family Therapy. I completed a B.A. in Education with a concentration in Counseling from Bucknell University and graduate degrees of M.Ed. & Ed.S. in Marriage and Family Therapy from the University of Florida. When we work together, I encourage you to see the bigger picture of your particular situation and how it relates to lifetime patterns that have developed over time. Challenges do not exist in isolation. I bring a compassionate and collaborative style to our sessions and I invite you to discover your own Truth and develop ways to improve your Self and your relationships with partners, children, and family of origin. Counseling is a safe environment to ask yourself the tough questions, get honest, and risk the rewards of living a more joyous and fulfilling life. Asking for help takes a lot of courage. I am here to provide tools and support you along the way as you explore what you really want, get clear, and move forward. Hypnotherapy is a powerful tool to assist you in getting down to the source of the specific issue you want to explore. It can accelerate the therapy process because we are able to bypass conscious defenses and access the heart of what keeps you stuck. This is a powerful healing tool to help co-create positive new beliefs and affirmations so that you may act with clarity and purpose and embrace the life you were born to live! I look forward to the opportunity to work together! Feel free to check out my full website for a lot more information about me and my practice. If you have further questions please contact me via email or call (407) 739-4267.